Here are some updated answers to the questions from thousands of emails I have received over the years. Since my musical-animation days I have been working in software and advertising, supporting my family, living an interesting life, and developing my skills. I’m grateful for all the jobs I have taken. After more than a decade of work in creative agencies and big corporations, I left my full-time job to become an indy creator/publisher again. My career history is on my LinkedIn profile, if you need all the details! After the dotcom crash of 2001, shockwave.com fell apart and all employees (including me) were let go. 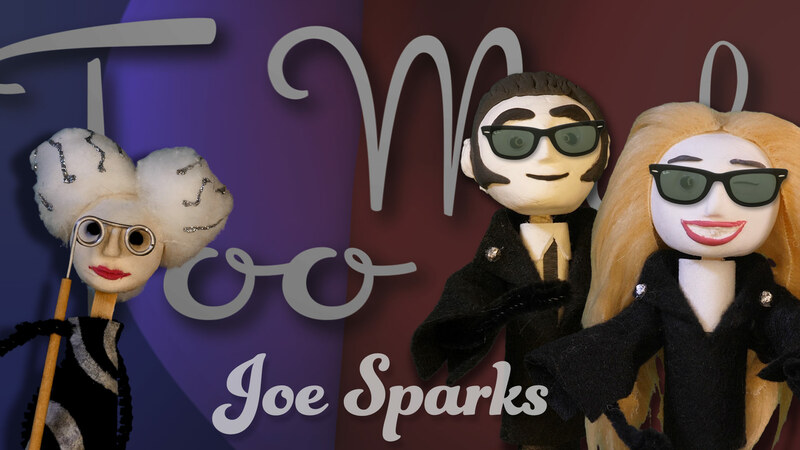 I moved my content to joesparks.com and continued as an independent publisher of original music and animation on the web. I didn’t last very long. My plans were put on hold because it was very expensive to serve media in the early 2000’s. I was not prepared for the true cost of serving “rich media” to a large web audience in 2002. And I’m not even talking about VIDEO files yet. The golden age of video was still years away. Video was not widely supported on the web until Flash MX 2003, via browser plugin, while cheap network speed, native browser video support, and wide adoption would come much later ~2008-2010. In July of 2002, the AP News published a story about my plans to launch a new series (Dicky & Jackie) and it ran in hundreds of newspapers around the world (and still appears on some news archives like this). I could have worded that closing sentence better (clumsy), but you get it! The idea (that computers would give people king-like powers) came to me while painting with a Commodore 64. 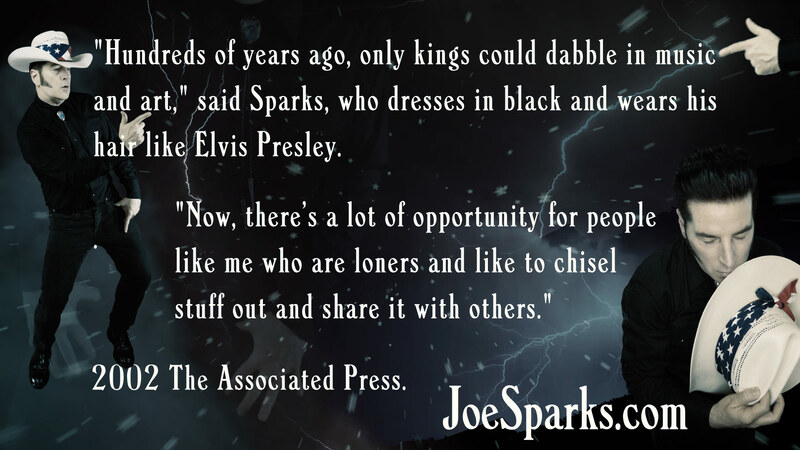 After this story hit worldwide, a small fraction of my shockwave audience showed up at joesparks.com. My hosting bill jumped up over a $1000 USD/month. If my entire Radiskull & Devil Doll audience showed up (of 1 million unique visitors per month) my web hosting could go over 25k per month. I was deeply troubled at the time and I couldn’t see a solution (I realize now I could have teamed up with another entertainment site or found another solution. It is hard to see the obvious when you are feeling down or develop a victim mentality). (Back to the past) By 2003, I would start the first of many jobs, mostly in creative advertising agencies. In 2009, I joined Google for the corporate gig of a lifetime. I started and managed a successful creative advertising team there. During these many years of working and saving, video went from entirely impractical on the web, to free-flowing like water (even on phones!). Wacky alternative internet content flourished. My underground goofy style had gone mainstream. During my last years at Google, publishing costs dropped to next-to nothing and cartoons similar to mine were getting hundreds of millions of views. Were my 2002 problems essentially solved? I was beginning to believe that I could make another go of it. But how could I convince myself to leave the great comfort of the big G? I needed more reasons. My old shows are pirated all over YouTube. Bad for my rights, but encouraging to see growing interest in my work. It is really quite amazing for me to see the widespread adoption of my work out there. I should be publishing my own work instead of watching other people publish it, right? My old games (Total Distortion and Spaceship Warlock) have received a lot of attention, especially on YouTube. Just one of my songs from Total Distortion (“You Are Dead”) has motivated people to make dozens of videos about it. Imagine seeing your work from a lifetime ago being made into popular videos? All of this was encouraging. Yet, I was so well-employed! Google was my home for 8 years and I was a devoted Googler. It was hard to imagine life “on the outside.” (Shall I brag about my accomplishments? Of course!) I was achieving new heights in my career. I scored in the top 5% of managers at Google. 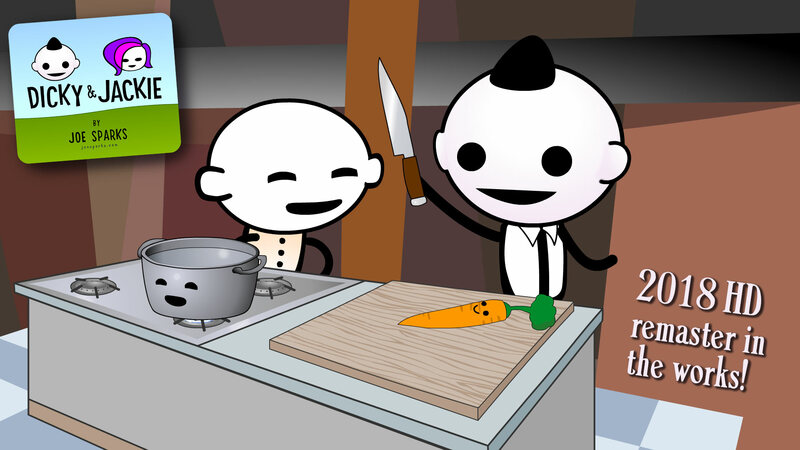 I started and managed my own team of creators (“Sales Animation”), and recruited amazing talent. We helped close thousands of deals ($Billions) across Google and YouTube, simply by helping our advertisers create ads quickly. While my career was solid, my best talents were not really needed there. I was creating a business service. I was remixing other people’s creative work. Fans of Radiskull or Total Distortion would never see my hand in the work I was doing (except for a few fun internal videos I made). After 8 years and hundreds of projects, I’m probably only proud of 5 of them. That doesn’t sound especially healthy for the long term, does it? This page is one of several page I wrote in mid-2018 about my career and creative work, in part to answer questions from thousands of emails I have received over the years. Joe Sparks is making shows again. He’s an original viral content creator of the early web (Radiskull and Devil Doll, Shockwave and poprocket.com) and a pioneer of early interactive media (Spaceship Warlock and Total Distortion).